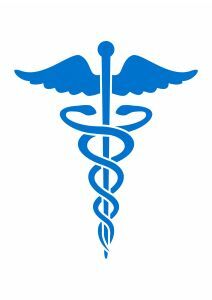 Medical Malpractice Category Archives — Vermont Litigation Attorney Blog Published by Vermont Litigation Lawyers — Watts Law Firm, P.C. Many individuals who experienced injuries resulting from medical procedures do not pursue the care provider for the monetary (or non-monetary) compensation related to their injuries — for a variety of reasons. The primary reason is litigation’s tension, uncertainty and expense. Whether a health care provider caused a medically-related injury is a question for a jury to decide based on witness testimony, including expert physicians or nurses. No injured person should go without compensation to pay for the costs of repair – to his or her body, psyche or bank account. The Vermont Supreme Court recently confirmed that notion in Taylor v. Fletcher Allen Medical Center, a case involving a woman who experienced complications arising from lumbar spinal surgery. But it is more than a truism; it is a rule of law that plaintiffs must present medical negligence evidence through an expert in the field who is knowledgeable and experience concerning the type of procedure and injury and familiar with the plaintiff’s medical records. The rule exists in the New England states and in most states in the U.S.